New Release - Now in Stock! 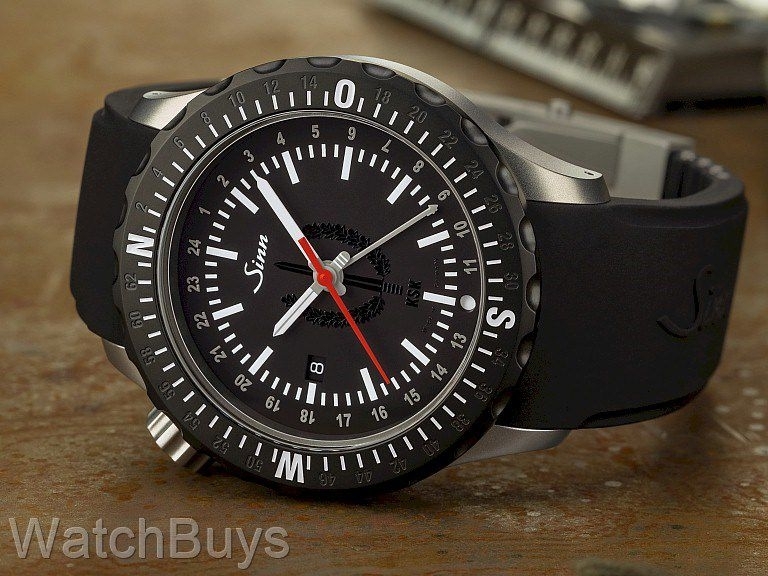 Sinn has a long and storied history of producing special watches for the German military, law enforcement, special forces, combat swimmers, helicopter squadrons, border patrol, GSG9 and the list goes on and on. This new watch was created for the German Kommando Spezialkrafte (special forces command, or KSK) which was officially formed on September 20, 1996. Since that time, the global operations carried out by this special forces military unit have been of political, strategic and operational significance with a primary responsibility to rescue and evacuate German citizens from crisis situations. To mark the 20th anniversary of the KSK, members of the Special Forces Command selected Sinn to create a special limited edition of 70 watches for the exclusive use of KSK members - the Sinn K212 Special Forces Command. 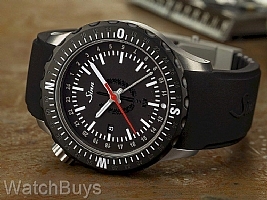 Although these 70 watches are not available for purchase by the general public, the German KSK did give Sinn permission to produce 300 watches with slight modifications for sale outside of the KSK - the new Sinn 212 KSK Limited Edition. These civilian watches differ from the actual watches worn by the German KSK with a change in the color of the seconds hand from green to red, and a slight change in the arrangement of the logos used on the dial. All of the technical specifications, construction requirements and other features are identical to the actual watches worn by the German KSK. In keeping with the unconventional spirit of the KSK, the design of the rotating bezel features the rather unconventional 64-mil ratcheting of a German army compass, which facilitates orientation in KSK field operations. This military-style ratcheting shows east at 16 milliradians , south at 32 milliradians, west at 48 milliradians and north at 64 milliradians. The rotating bezel can be rotated to mark the direction of north ascertained using the time and position of the sun. The numbers marked on the rotating bezel subsequently enable the direction and azimuth of the destination to be read. Together with the ability to track two time zones, this special rotating bezel design with 64-mil ratcheting represents the determination and ability of the KSK to fulfill their missions even when all modern equipment fails. This watch is fitted with a black Sinn silicone rubber strap with locking stainless steel buckle.